Canadian Thanksgiving has past and Halloween is here; before long Christmas will be on the minds of shoppers everywhere searching for that special or much needed gift. Each holiday I like to bring something new to my decor or dinner table; no long ago I added some pretty great pieces to my Thanksgiving table from Target, both clearance, sale and regular price items. I’m kicking myself for not having the chance to save an extra 5% off your purchases at the till by having a Target REDCard. I shop at Target often and I see the 5% off everyday promotion materials each and every time but until recently I have never signed up. Maybe I thought it was something else, maybe I was reluctant it was another credit card or maybe I was just short on time and thought it would take too long to register. Whatever the reason, I found out that I was wrong; applying for the Target REDCard was quick, easy and painless right from the comfort of my own home. After 4 quick steps and screen click-throughs, I had completed my online Target REDCard registration within a few minutes. My registration came within 1 business week requesting a little more information to confirm my identity. At first I was a bit annoyed but then I thought that was pretty amazing that Target has extra personal information security measures in place to protect their customers. I attribute the request for extra information to conflicting address information, being that we are on a farm, we have a mailbox address and a rural legal land location number which are both used. I suspect the majority would receive their cards within the 7-10 days total. I applied for the no fee Target REDCard Debit Card because I like using money that I already have available but there is an optional no annual fee Target REDCard RBC Mastercard for those interested. Basically how the Target REDCard Debit Card works is by allowing access to a chequing bank account you already have for pre-authorized purchased at Target using your debit card. Each and every time you do so, you receive 5% off your entire order at the til, over and above in-store savings. Additionally if you sign up before November 10th, you’ll receive a one time coupon for an added 5% off! Add of that with the price match guarantee and you’ll be one smart shopper this coming holiday season. Have you registered for your Target REDCard to receive more savings yet? Join us in conversation on Twitter by joining the hashtag #TargetREDcardca and tell us how much you saved at the till the last time at Target. Disclosure: I am participating in the #TargetREDcardca campaign. All opinions are 100% my own. I still haven’t shopped at target since it came to Canada…maybe I should look into this..seems like a decent savings method. Definitely. 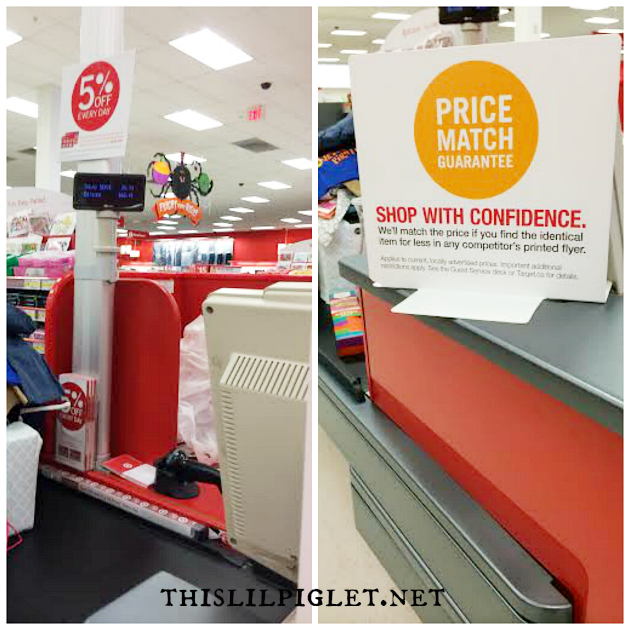 I would watch the flyer for a good sale, stack the %5 REDCard and the 5% coupon….make sure it’s price matched for the absolute best price. Christmas is coming so this may come in handy. I do quite a bit of shopping at Target but have never heard of this card?! Need to get on it asap! I have only been to Target once or twice but may be more inspired to shop there with a deal like this. We were just in Target tonight and the cashier explained this to us. My husband loved the idea of the debit and not the credit. We are going to look more into it because it looks like it has many benefits.